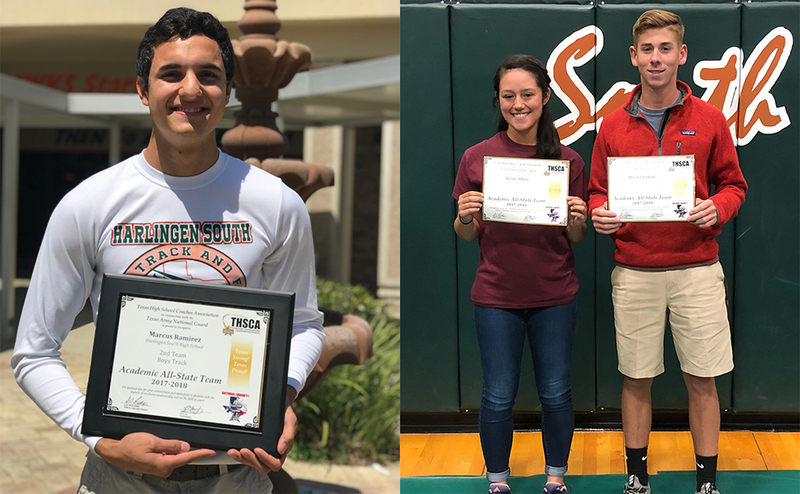 Harlingen High School South athletes were recently recognized for their outstanding academic and athletic performances in the Texas High School Coaches Association (THSCA) 2017- 2018 Academic All-State Team. Marcus Ramirez was named to the 2nd Team for track, and Jessie Alfaro and Hunter Lamon made the 2nd Team for tennis. Candidates are nominated each year. Selections are based on student GPA, class rank and ACT/SAT score.